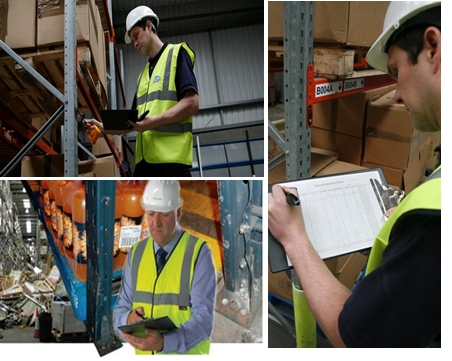 Racking inspections form an integral part of any pallet racking maintenance and repair system. Highlighting problem areas is key to running a safe warehouse. · Helps conforms to Health and Safety regulations. · Identifies any potential hazards which could lead to fatalities. · Significantly reduces repair costs. · Provides peace of mind to Managers and Operators. · The Rack Group Ltd use "Data Pen" technology when conducting an Industrial Storage Equipment Inspection which allows for the racking inspection reports to be available in both electronic and hard copies immediately upon completion. · Inspectors are able to identify where cost savings can be made for any repair works identified using bespoke materials. · The Rack group Ltd are able to provide quotations for any non-conforming works quickly based upon the electronic information supplied through the data pen technology.